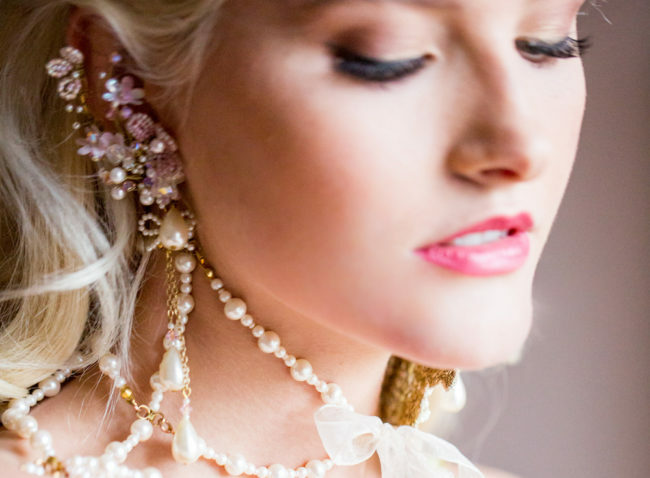 Whilst we never really worry too much about being trend setting in a traditional sense; bridal fashion being a much slower burn than mainstream fashion & influenced by many more variables including celebrity, tradition, occasion, family, peers & as well as the fashion runways, it is fun to see when we are very much on trend. 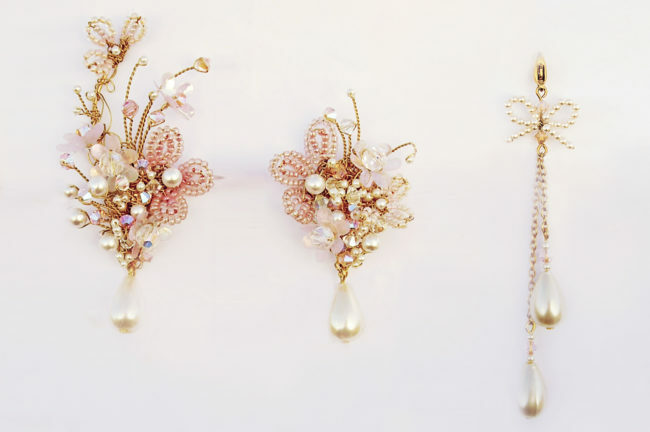 This Summer the fashion press tell us that big, statement earrings are on trend, as are fantasy cuffs, mismatched earrings & mono earrings which are very much in line with the earring collection I have designed for Chantal Mallett Brides. 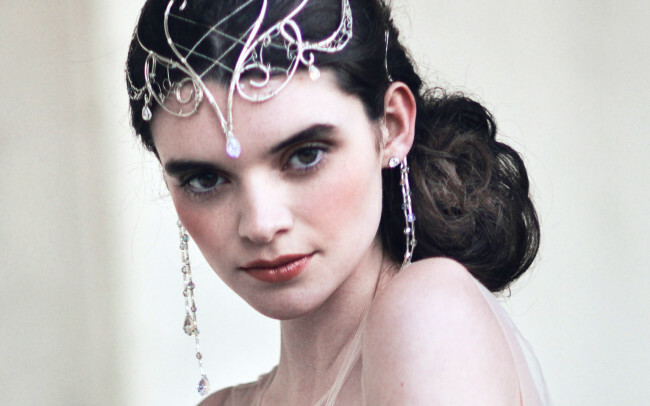 WATERHOUSE ~ MUCHA ~ LEIGHTON ~ LABYRINTH ~ PRE-RAPHAELITE ~ FANTASY ~ FAIRY ~ ART NOUVEAU Inspired headpieces. 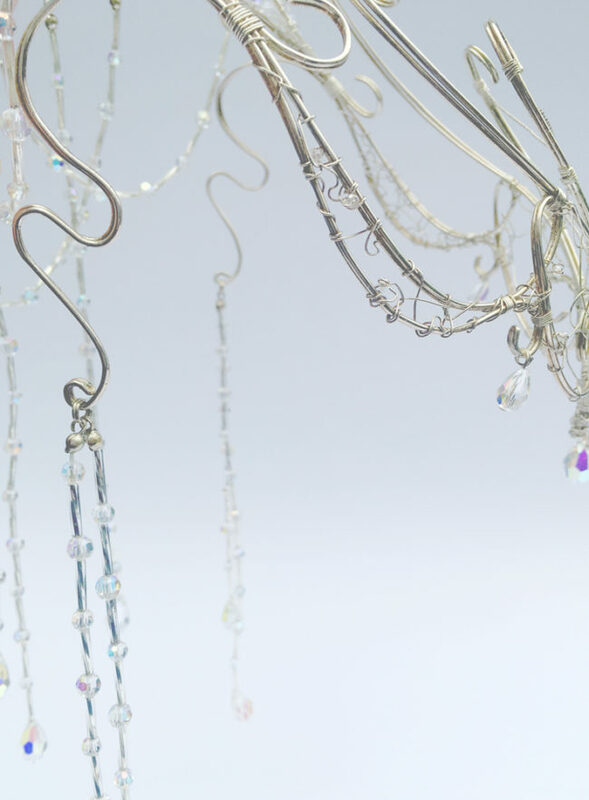 We have made up several highly individual pieces for clients that capture the spirit of the pieces worn by Arwen & Galadrial in the Lord of the Rings trilogy i.e. 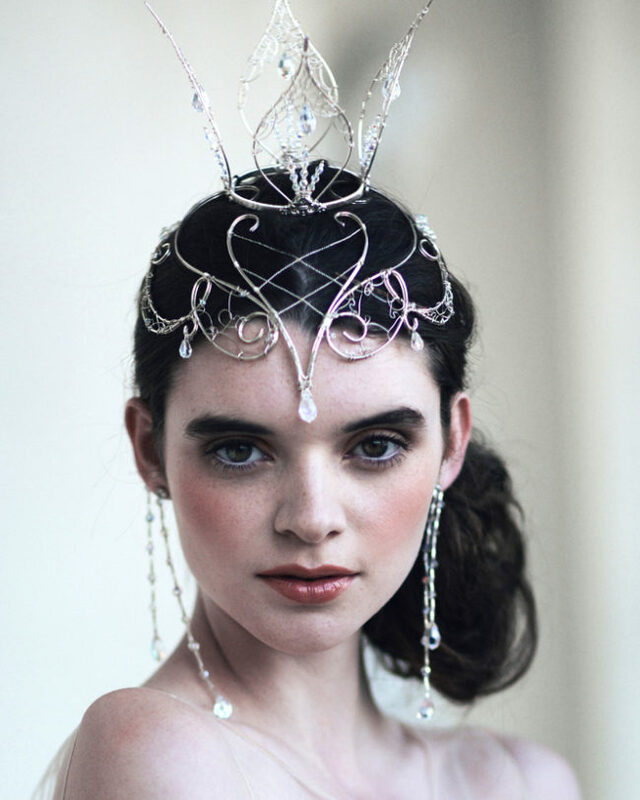 pieces that encircle the head, are worn partially on the forehead & feature lengths of flowing beads & crystals or Sarah’s piece from Labyrinth. (*All our pieces are made with our signature style of looped, twisted or hammered wire, we do not make cast pieces. Please do not request copies of pieces shown on the mood board as we do not replicate. 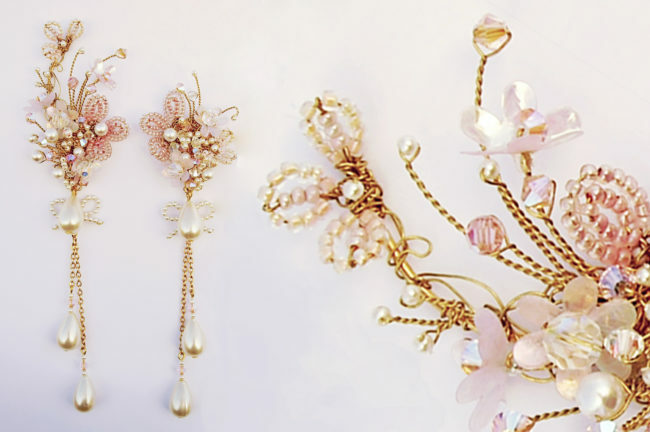 Pieces like these ideally suit ladies with delicate, elfin faces & long, flowing hair. THE STYLING POWER OF A SLEEVE OR STRAP (and other styling tips). 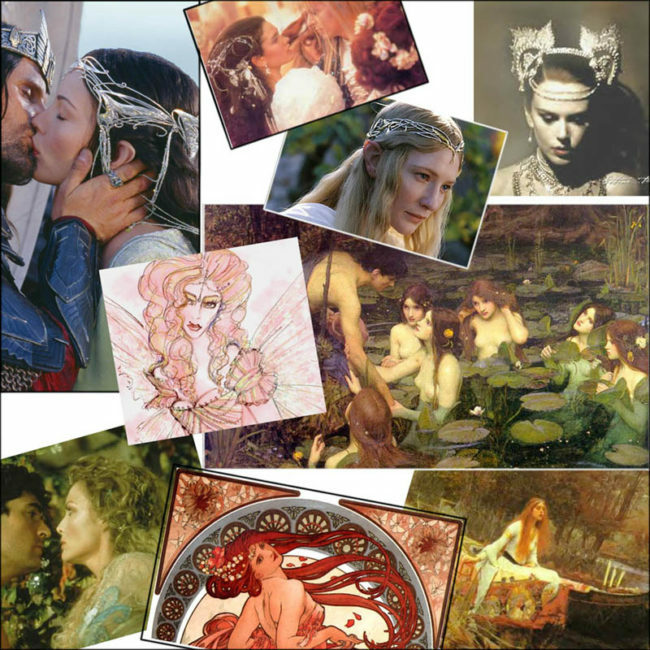 Inspiration Moodboard: Butterfly Fae – A Fairytale of Pastel Blooms, Moss & Gilt.